Sitting below its new top of the range Centaya pneumatic combination drill, Amazone has updated its AD-P Special drill. The AD-P Special sits in the middle of Amazone's air-drill range. With an aim to increase flexibility, Amazone has updated its AD-P Special pneumatic combination drill. Fitment and removal of the drill to the firm’s latest KE, KX or KG 01 Series rotary power harrows has been simplified with a new QuickLink demount system. This sees the seed hopper, available in 850 to 1,500-litre capacity, mounted to the harrow via an A-frame, and the coulters suspended from the rear roller on a parallel linkage. 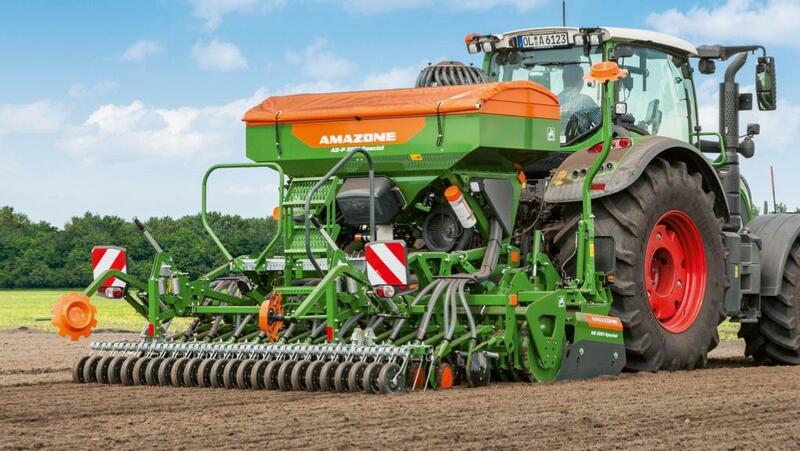 To suit a wider variety of soils, Amazone’s Matrix Wedge and trapezium rollers are now available, and either WS (Suffolk) or the firm’s tried and tested Rotec coulters are available in row spacings of 125mm or 150mm. Half-width shutoff is achieved by electrically raising the deflector (shown here on the right). Seed distribution has also been updated. 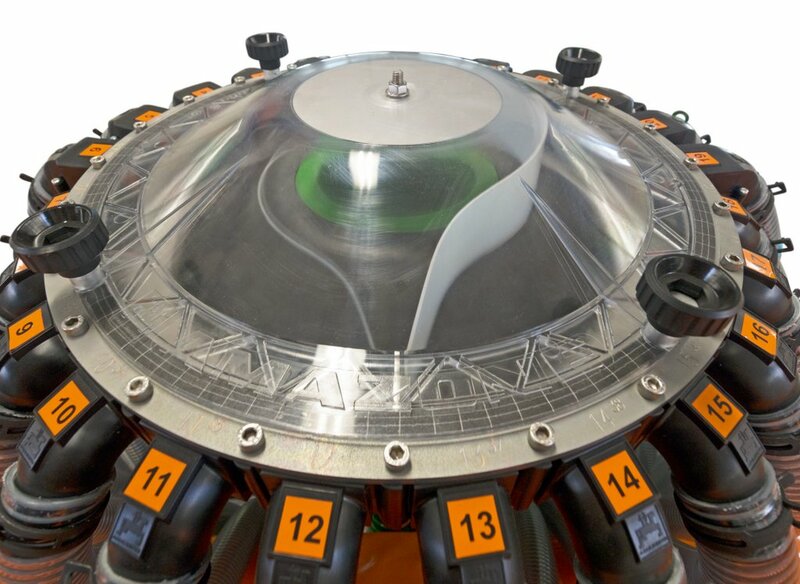 A new head allows half-width shutoff via GPS section control, and when tramlining the seed rate is automatically reduced rather than sending the seed back to the tank. Metering is now done by a low power drive electric motor. The AD-P Special is available now, with the firm’s top of the range Centaya drill getting its UK debut at this year’s Cereals event.